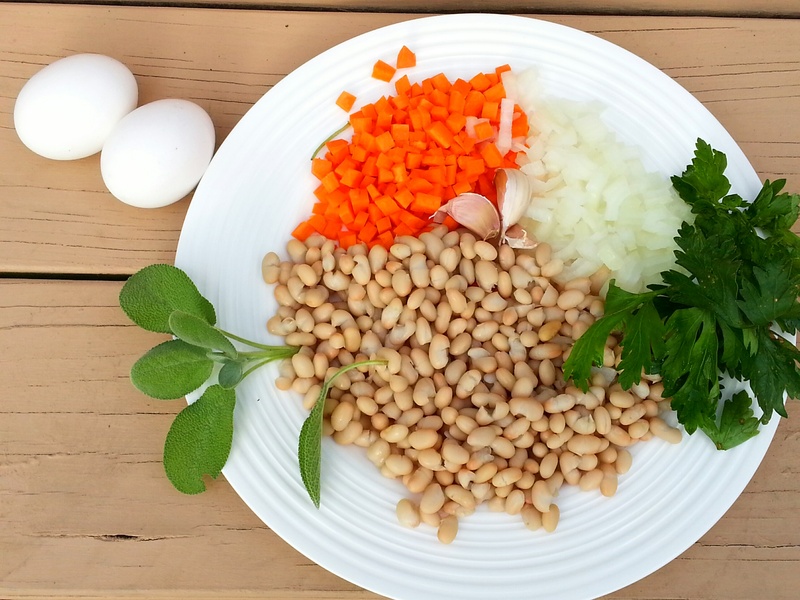 I found this fabulous recipe for bean pate in New York Times a couple of years ago, and make it often with some variations. 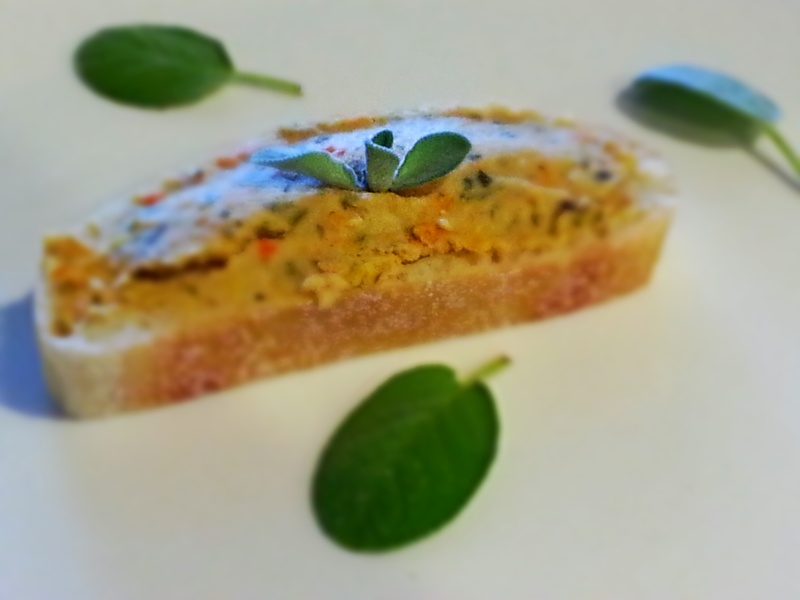 The beauty of bean pate is that it’s low guilt, full of nutrients, and very tasty. I have made it for parties as an appetizer and it’s always a big hit. I like to make a platter with brioche toasts, seed crackers and vegetable slices topped with this pate. 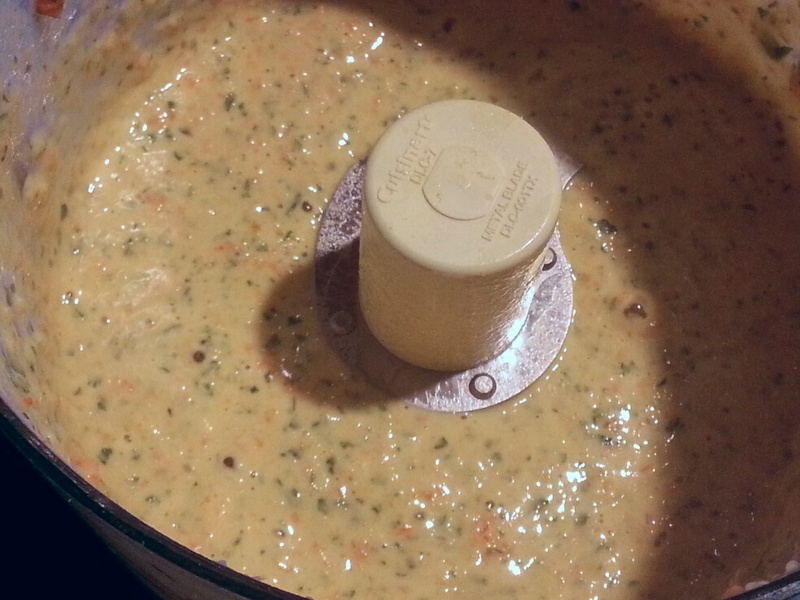 The recipe is very easy, and yields about 2 cups of pate. 1. Preheat the oven to 350 degrees. Butter or oil a 3-cup pâté tureen or baking dish, or a bread pan. minutes. 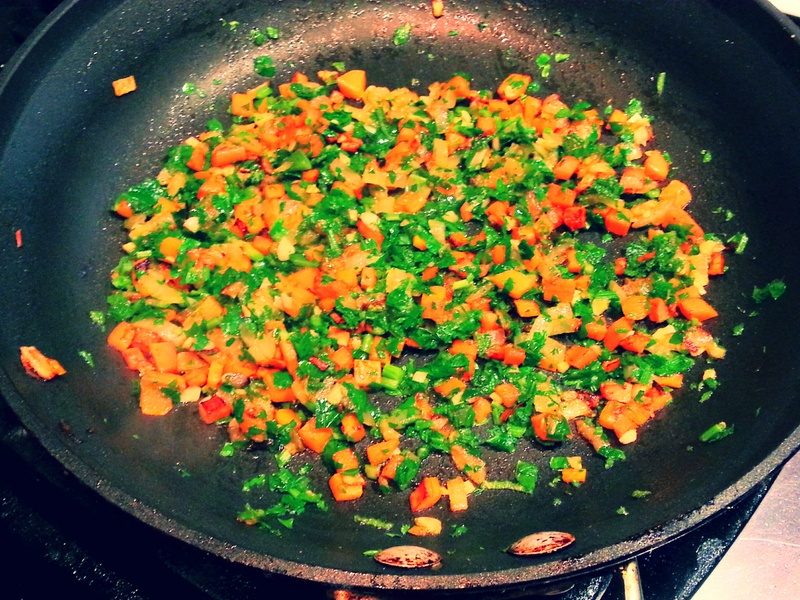 Add 2 cloves of the garlic. Cook, stirring, until the garlic is fragrant, about one minute. Stir in the parsley and sage. Remove from the heat. 3. Turn on a food processor fitted with the steel blade, and drop in the remaining clove of garlic. When the garlic is chopped and adhering to the sides of the bowl, stop the food processor and scrape down the bowl. 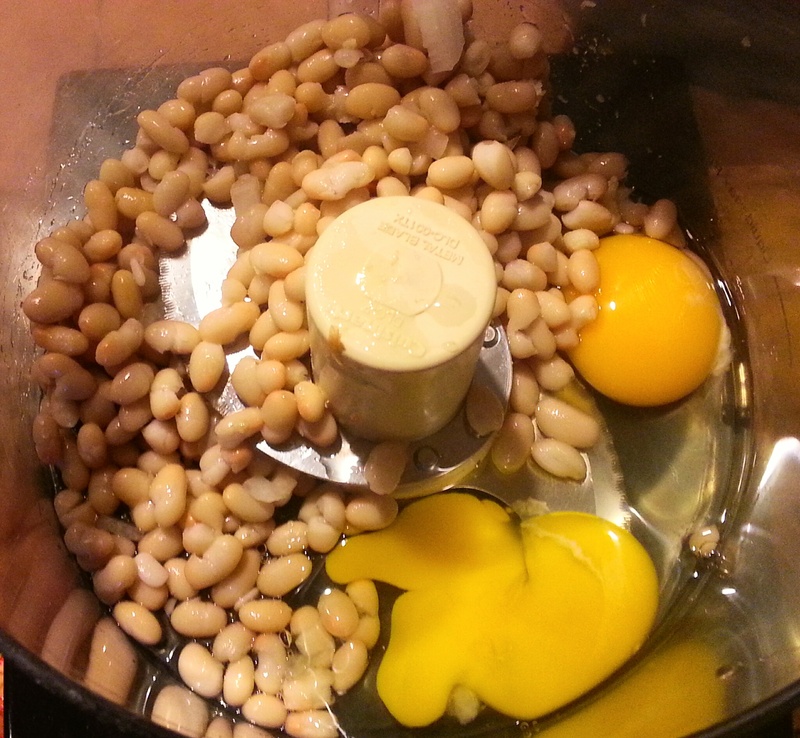 Place the beans and eggs in the food processor. Turn it on, and add the lemon juice and the remaining 2 tablespoons of olive oil. Process until smooth. Add the onion mixture, and pulse to combine. Season to taste with salt and pepper. 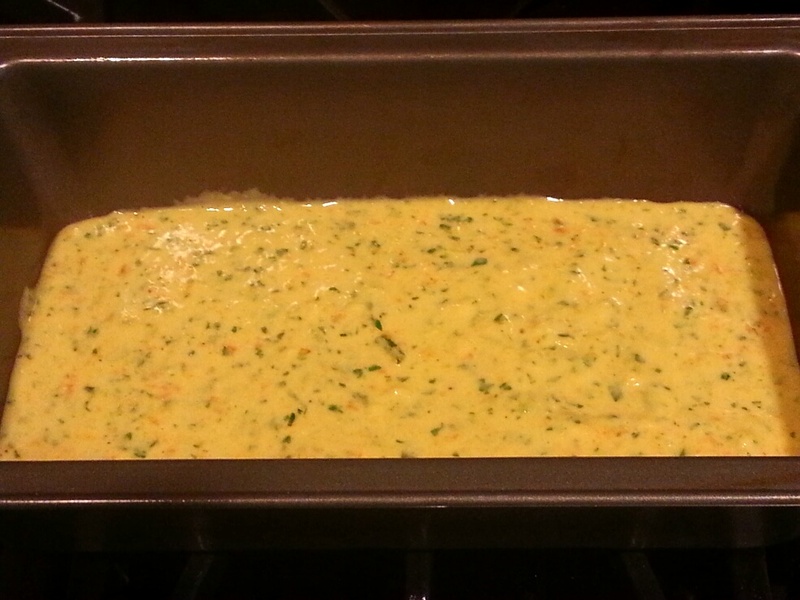 Scrape into the prepared baking dish, and cover tightly. 4. Bake fior 40 to 45 minutes until set and the top is just beginning to color. Remove from the heat, and allow to cool. For best results, refrigerate overnight. Serve at room temperature or cold. ← Best Ever, Light as Down Cherry Vareniki.